The Nintendo Entertainment System is famous for a few things: resurrecting a dead home video game market here in the United States, launching a huge number of storied franchises that still exist to this day, and having an unreliable hardware issue centered around its 72-pin cartridge edge connector, manifesting itself in the form of a blinking power light and flashing image on the screen. 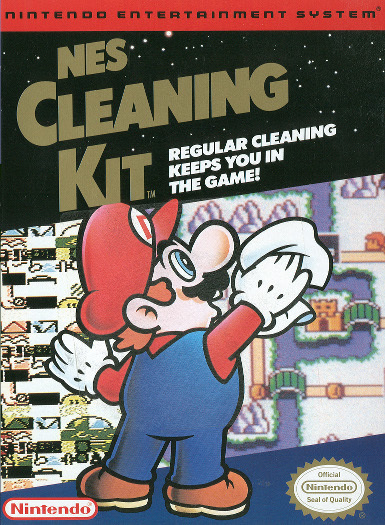 Back in the day, Nintendo attempted to mitigate this problem by selling the “NES Cleaning Kit”, but while this product was decently-effective at keeping a clean system clean, it was generally too little, too late once the console began having game loading issues. Sometime in the late 90’s, third-party replacement 72-pin connectors appeared on the market which did solve the problem, but did so by gripping the game’s edge connector so tightly that pushing the game down in the tray was often not even required, and pulling said game back out of the system took two hands. 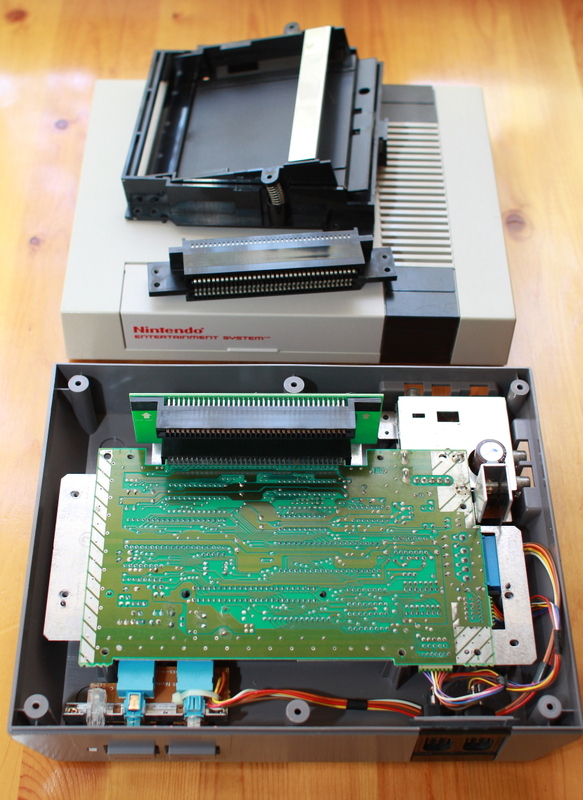 Methods for cleaning and restoring the console’s original 72-pin connector have been passed around the web for years. The preferred method here at CGQ involves using high-grit sandpaper to polish the pins clean, but more recently a procedure involving submerging the connector in boiling water has been gaining traction as the method-of-choice. Still, without constant vigilance in keeping the games themselves clean and therefore avoiding re-crudding-up the connector, the problem will only return in the future. 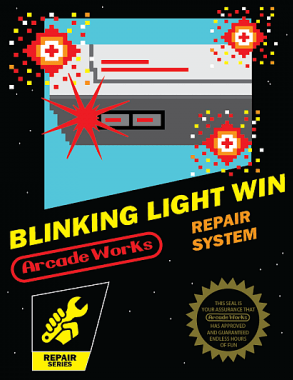 In December of 2014, Quan Nguyen of ArcadeWorks, better known as the creator of the Omega consolized Neo-Geo MVS system, launched a kickstarter campaign for the “Blinking Light Win”, a complete 72-pin connector and cartridge tray replacement for the NES that aimed to permanently fix the system’s famous blinking issues. A $20 pledge got you one complete BLW kit, shipping included. When the Kickstarter campaign closed 35 days later, over $44,000 had been pledged; nearly triple its original goal. The Blinking Light Win Kickstarter kit. 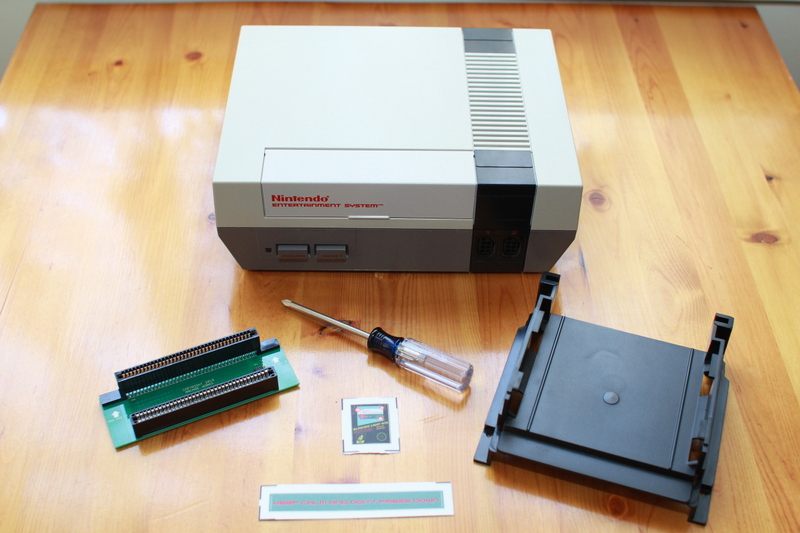 Our Kickstarter BLW kit arrived at the CGQ offices just this week, and although we don’t really have an NES that’s in need of repair, we certainly have one that can be upgraded in the name of science. 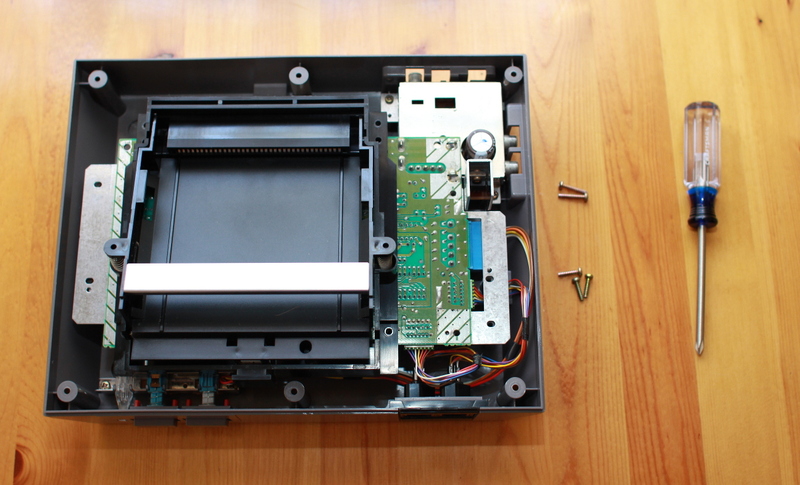 To perform the swap, you need just an NES, the BLW kit, and a Phillips-head screwdriver (the proper size is a P2). Flip your system over, remove the 6 screws holding the top cover on, and flip it back over to lift the cover off. Remove the 7 screws securing the RF shield (the big, shiny piece of metal covering everything), and lift that off as well. Finally, there are 2 screws in the upper right-hand corner of the motherboard holding down the power supply and RF unit. Remove these as well, as you will need to lift the motherboard up just a bit. The spring-loaded cartridge tray is held in place by 6 screws. Remove these, taking note of the two slightly-longer screws, which you can set aside as they are no longer needed. Lift the motherboard up and you can slide the tray straight out. With the motherboard still lifted up, use your thumbs to wiggle the old 72-pin connector off of the motherboard by pushing it away from you. The old 72-pin connecter looks on sadly as its replacement is installed. Do the same thing in reverse with the new BLW connector, paying attention to the markings on the unit so that you don’t accidentally put it in upside-down. The new cartridge tray then drops in from above. There are cut-outs in the rear of the tray to accomodate the connector, so make sure you slide it on properly. If it’s installed correctly, the screw holes in the tray should be lined up with the screw holes in the motherboard underneath. Have a quick look around to make sure that the motherboard is properly seated in the case and that all of the screw holes are lined-up, and then go ahead and screw the new tray in place. Everything is installed, but test it before buttoning-up your system! Before you go any further, I strongly recommend that you plug your system in and test it out, to make sure that a game will load properly. If it doesn’t, go back and check everything that you did, and also check to make sure that you didn’t accidentally unplug any of the wiring. The Blinking Light Win is a great product. 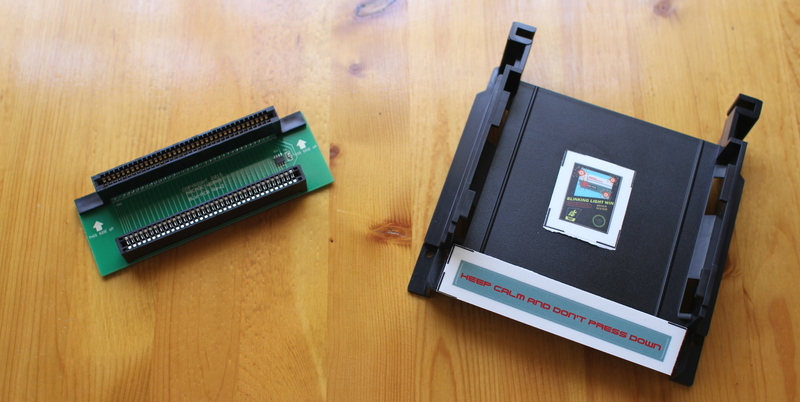 Not only does it (hopefully) make the system bomb-proof as far as performance goes, as an added bonus it also completely removes your NES’ region lock, allowing you to play region-locked games from around the world. While this is not a problem that I have ever encountered, it’s a nice bonus. 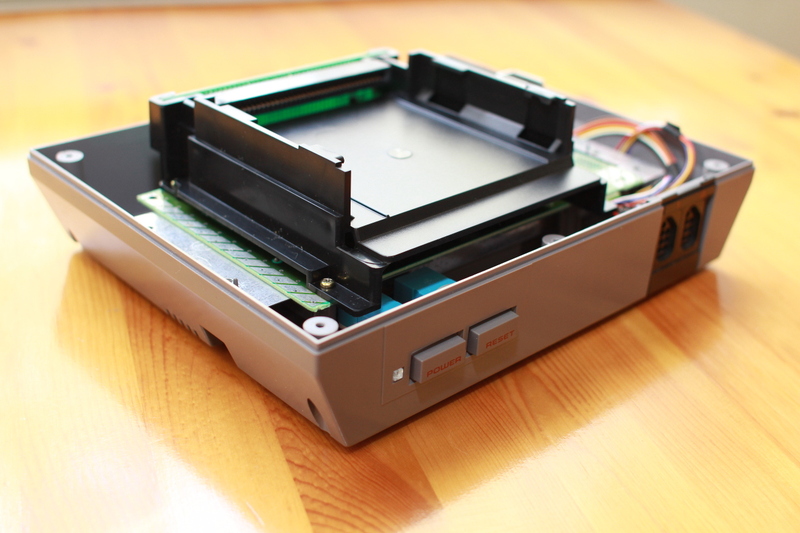 There have been some concerns about the difficulty in removing cartridges, but it’s no better or worse than pulling a cartridge out of an SNES or Genesis. It’s a lot harder than it was with the old connector, but that “Zero Insertion Force” design was the very reason that it got crudded-up in the first place. Cartridge connectors are, by their nature, self-cleaning. 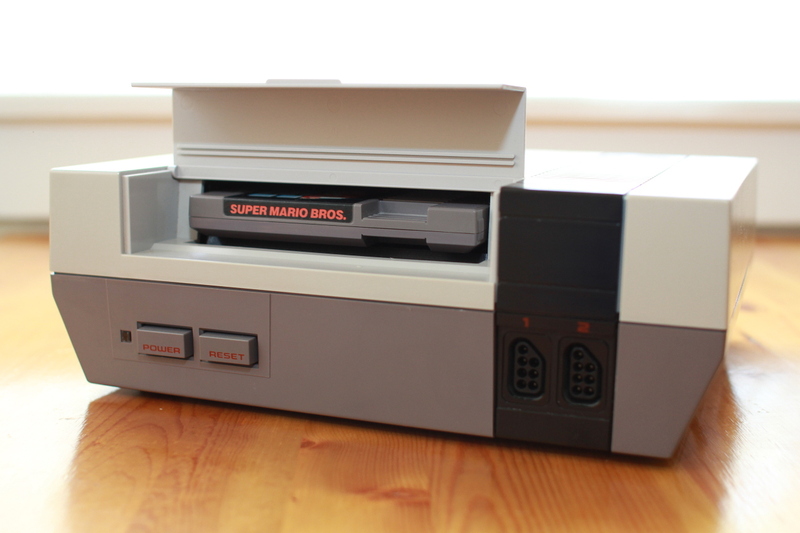 Were this console my primary NES, I would miss pushing down the cartridge every time I put a new game in the system. But the fact that I should never have to worry about the system blinking on me again more than makes up for it. Tagged 72-Pin, Blinking, Blinking Light Win, Connector, NES, Nintendo, Repair. Bookmark the permalink.